Ecomond TCS solutions are suitable for a wide variety of customers from logistics to field services and shifts planning to process optimisation. Our cloud-based solutions cover all functionalities from Operations ERP to state of the art Optimisation and Mobile App. Ecomond TCS solutions decrease operational costs and increase customer satisfaction at the same time. We make Operations Management always optimal and fully transparent. All users have the information needed, and decisions are made automatically by Ecomond TCS Optimisation based on facts. Ecomond TCS solutions are modular, covering functionalities from customer information to pricing and real time dispatching to reporting. Our solutions are using all available digital information from IoT and ERP integrations. Our end-to-end solution that provides service organisations with optimal and transparent management of operations while increasing customer satisfaction and decreasing costs. We cover all functionalities needed for daily logistics operations from dispatching to real time resource and route optimisation to ensure minimum costs. Challenges in healthcare are increasing while population is ageing, and costs are increasing. We can help tackling this growing problem with our solutions. Our shift planning solution makes it possible to plan and optimise large and challenging resource operations. Our operations ERP covers all functionalities needed in modern waste management from municipal to hazardous waste. Many processes are too complex for humans to plan in an optimal and efficient way. We help to solve these issues with our optimisation. Ecomond cloud-based software products are highly configurable enabling fast and easy deployment into each unique business. Our products suit from large enterprises and complex operations to SME and simple operations. Ecomond TCS software can operate as stand-alone ERP or integrated to other solutions.
" - Transparent information on company level – no local hidden information", " - More efficient routes and resource utilisation – fast replanning", " - Field workers have all necessary information – better service and less claims "
Ecomond TCS ERP is an economic and efficient choice for SME’s and larger enterprises. It is designed to be used in Operational Management with Planning and Scheduling features in focus. Together with Ecomond TCS Optimisation and Ecomond TCS Mobile Application, it is the best solution for saving time, money and nature for various businesses. Ecomond TCS Optimisation is a state of the art solution for optimising complex operations in different levels from strategic to real-time planning. Your customer satisfaction increases, your costs will decrease, and your personnel will execute the customer needs in uniform quality, transparently and efficiently. Ecomond TCS Mobile App gives the field workers all information necessary to complete their tasks and report any changes they have faced. It has a map navigation and full online / offline functionalities to support the operators at any time. Delivering/collecting/doing yearly over billion products/services. We work as an expert partner for companies of all sizes or as a global supplier in demanding Task Manager and Optimization projects. We listen carefully to our customers' needs and want to understand their business processes in the best possible way. For these pages we have collected some received customer feedback. 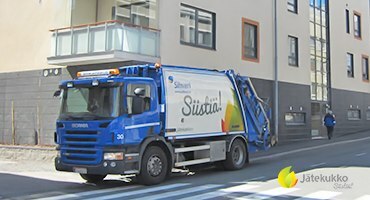 Joint Stock Company Eco Baltia is the largest multi-service waste management group in the Baltics in terms of turnover. Lindstrom Ltd. operates in 21 countries with almost 2300 people. 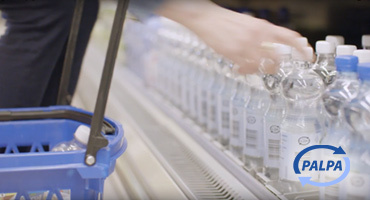 Olvi ltd. is a Finnish brewing and soft drink company and the parent company of the Olvi Group. In 2016, the company employed more than 1800 people. Anticimex is a pest management and food hygiene service company that operates across the whole of Finland. The Renova Group is owned by ten municipalities in western Sweden. Suomen palautuspakkaus Oy / Palpa - owned by retail trade brokers and breweries. Lassila & Tikanoja specialises in environmental management and property. Jätekukko Ltd operational area comprises 17 municipalities and approximately 220 000 inhabitants. EcoBaltia is the largest multi-service waste management group in the Baltics in terms of turnover. Kiertokapula Ltd. is owned by 17 municipalities, the regional waste management company. The Municipal waste management in eastern and western Uusimaa. Domain resident population of 228 000. Lakeuden Etappi Ltd. is Finnish waste management company. Pirkanmaan Jätehuolto Ltd. has 21 owned by the municipality. Sustainable rotational economy. The recycling center is responsible for waste management and waste disposal in 13 municipalities. Vestia Ltd is owned by the regional municipal waste management company. Ecomond is an Independent Software Vendor who develops and distributes top level operations management and optimisation software. TCS products are modular and our partners can sell them as stand-alone or integrated to other systems like CRM, HR or Financial Administration Systems, which are not in our focus. We are looking for partners who want to sell more to their customers and complement their offering with Ecomond TCS Optimisation or other TCS products. Our aim is to grow together and boost your sales to current and new customers by bringing new added value to the software suite that you are selling. We reliably take care of installing and deploying TCS and OPTI systems in your business environment. Ecomond oy undertakes to maintain the TCS system with a separate maintenance agreement. Maintenance includes technical development, on-call and free-of-charge advisory service and, due to changes in legislation, updates required for software covered by the agreement.